Are you looking for a way to boost your productivity? There are all sorts of productivity tools and tips available. Many of them really are helpful, but some are myths. And if you buy into these myths, your productivity will actually decrease. Here are the top 5 productivity myths. Add your own myths by leaving a comment. Being connected all the time makes you more productive—Between laptops with wifi and cell phones that connect to the internet, most of us are connected 24/7. We like to believe that all this new technology makes us more productive, and in some situations, it does. But it can also be a distraction. If you’re constantly checking your email or religiously following your friends on Facebook and Twitter, you won’t spend as much time getting your work done. Sometimes, it’s best just to shut everything else down and focus on your work. We’re too connected at times. Multitasking increases your productivity—It seems to make sense. Doing several things at once means you’re getting more done, right? Well, not necessarily. Many people aren’t great multitaskers, so when they try to juggle all these different balls at the same time, they either end up overwhelmed or they do a terrible job on all the different tasks because their attention is divided. It’s better to do a great job on one thing at a time than a terrible job on several tasks at the same time. Time management systems are too rigid—It’s a misconception that getting organized ties you down and forces you to do things a certain way. 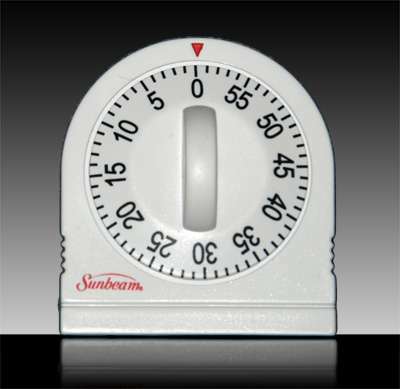 Many time management systems are very flexible, and they can be adapted to your unique needs and preferences. The key is to find a time management system that lets you get the most work done during your peak hours. Peak hours is an important concept. We all have times when we’re most productive. For some of us, it’s early in the morning, and for others, it’s late at night. When are your peak hours for productivity? One productivity system fits all—This definitely isn’t true. What works for one person may actually cause someone else to be even less productive. There are all sorts of different productivity systems and time management resources available. Study them, and find one that matches your needs. Remember, you need to give the system time to work. Don’t quit using it after trying it unsuccessfully for a day. Give it a chance to start working. Productivity means never taking breaks—The best bosses understand that you can’t push employees too hard. You can’t expect your employees to be working as hard as they can every minute between 9 and 5. Look, no boss likes to see employees lounging around, but breaks are necessary for recharging the batteries. If you crack the whip too hard, your employees will tire out and also start resenting their job, which will lead to a significant dip in their productivity. At the end of the day, you have to want to be more productive. You need to be motivated, and you need to want to achieve certain goals. If you lack that desire to improve, no system will help you improve your productivity. It’s all up to you! It was any enjoyment discovering your site the other day. We arrived the following these days looking new things. I was not necessarily frustrated. Your suggestions following fresh methods about this point have been beneficial plus an outstanding assist with individually. We value You taking away time for you to write out these products and then for uncovering your tips.